Police officers are one of the richest cinematic archetypes out there. An honest cop can be a great hero. Cops with inner conflicts or moral ambiguity can be great anti-heroes. Corrupt cops who abuse their access and power are wonderful villains. Also, the world of law enforcement provides narrative possibilities for the worst criminals, the most intense action, and some of the most heartfelt drama. This is the first in a series of features focused on law enforcement characters. There are just far too many to cinematic cops for a single top ten list. To kick it all off, here are the top five cinematic NYPD all-stars. The French Connection is one of the greatest Best Picture Oscar winners of all time. Not only was it the first R-rated film to win the big prize in 1971, but it also won gold statues for Best Director, Best Adapted Screenplay, Best Editing, and most importantly Best Actor. Gene Hackman was honored for his phenomenal portrayal as Jimmy “Popeye” Doyle. He and his partner Buddy “Cloudy” Russo (Roy Scheider) are outstanding NYPD detectives. They have become neck-deep in a heroin-smuggling ring and their job is getting more and more dangerous. 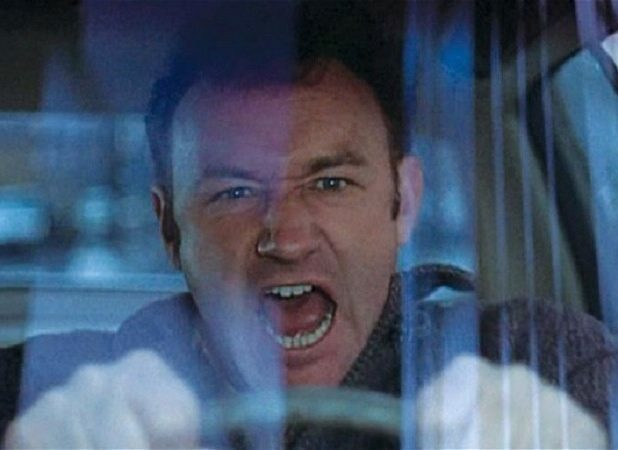 However, it is Hackman’s Popeye Doyle that sets the standard for hero cops. He is an honest cop but isn’t afraid to get his hands dirty if it means protecting his city and the people within. What Friedkin and Hackman pulled off is so extraordinary that it effectively elevates Popeye Doyle from cop to NYPD near-superhero. It is breathtaking. 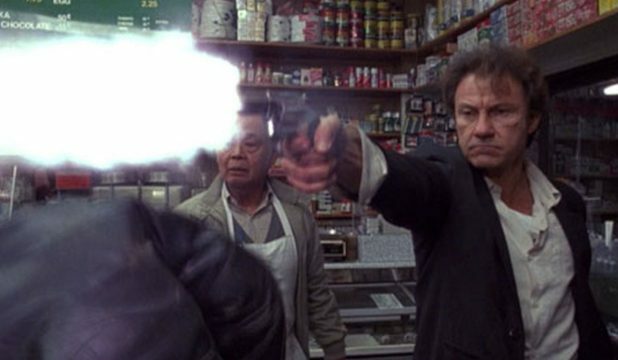 In 1992, Abel Ferrara made one of the grittiest law enforcement movies with Bad Lieutenant. Harvey Keitel plays the titular Lieutenant who is part of the NYPD. He is the definition of anti-hero. This cop excessively does drugs and gambles with money he doesn’t have. He makes deals with drug dealers for his own personal financial gain and even worse crimes. He is a horrible, immoral monster. However, he really does want to find out who raped a nun in his jurisdiction and dish out some vigilante justice. Is this because it is the Lieutenant’s job? Or is it because he has a BIT of moral outrage when it comes to sexually assaulting nuns? We are not quite sure, but it is all certainly riveting. The original Blaxploitation film — Shaft — in 1971 involved the titular character as a private detective. 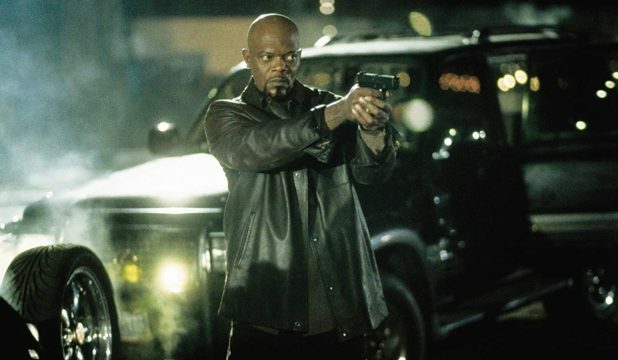 However, when John Singleton remade the film in 2000 with the perfect casting of Samuel L. Jackson, he was an NYPD detective. This John Shaft is the nephew of the original character, but Singleton and Jackson bring just as much cool and swagger to this millennium’s Shaft. A murder has taken place, and a star witness has gone missing. When the son of a wealthy real estate tycoon keeps getting off the hook for the murder, Shaft resigns from the NYPD and sets out for some vigilante justice. It is a movie like Shaft that really exhibits how cool it is to be in law enforcement. The respect it demands, the fear it instills, and the power it commands needs a strong-willed person to handle it all. John Shaft is certainly one of those people. Where the Bad Lieutenant may be the most morally disastrous NYPD officer ever, Frank Serpico is definitely the most idealistic. Sidney Lumet’s 1973 film Serpico is a near-perfect film, and Al Pacino is outstanding in the lead role. 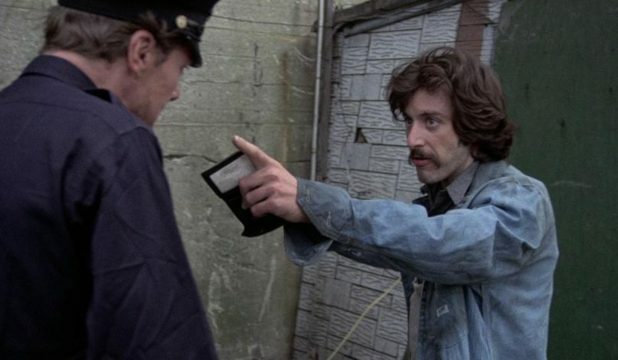 Frank Serpico was a great uniformed cop in 1970s New York City. So good in fact, that he was given a plainclothes assignment. However, soon after the promotion, he discovers how corrupt the NYPD is. Frank Serpico is so morally virtuous, that he decides not to allow such corruption stand. The emotions, the fears, and the dangers that Serpico faces as he tries to take down his peers is exhilarating cinema. Bruce Willis’s John McClane is not only the greatest cop in cinematic history, but he is simply one of the most iconic characters of all time. 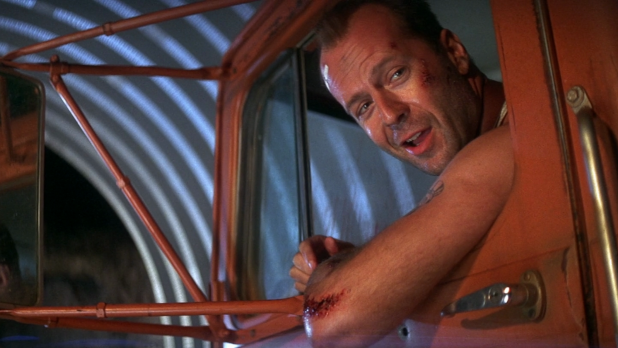 1988’s Die Hard effectively created an entire genre. The Die Hard in a *blank* synopsis has run rampant throughout the action cinematic universe for thirty years. Bruce Willis brought such an everyman to McClane that it made everyone in the audience feel like they too could be an action hero. 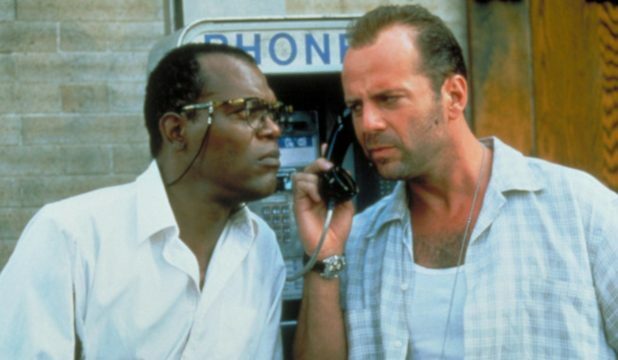 McClane is an NYPD officer, but we don’t see him in the Big Apple until the third movie. Famously, he did his thing in Nakatomi Plaza in the first film, dealing with F**king California! Then he was in Washington D.C. in Die Hard 2. Finally, in Die Hard With a Vengeance, McClane was sent throughout his city by Jeremy Irons in a drastic cat & mouse game. Throughout these original three films, John McClane was just a smart NYPD cop thrown into the fray. Then the series went off the deep end and he turned into a comic book character destroying helicopters with police cruisers. Still, the character is the most perfect example of police officers in film. Never will there be another John McClane.